It’s not quite summer yet, but the sun has made an appearance (which can be a rare thing around here) and we are ready for it to stick around awhile! 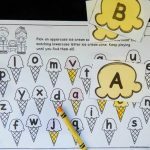 To aid in our wishful thinking, we are bringing some sunshine themed fun to our learning with these sunshine sight word puzzles that are perfect for kids who love puzzles or a challenge! 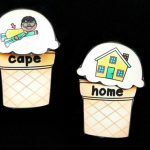 It’s one of our favorite sight word activities! 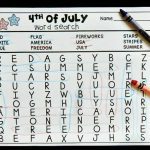 Getting these puzzles ready is as easy as it gets. 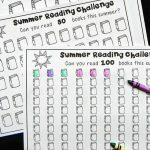 I simply made sure the words I needed were on the bright and colorful suns, then I printed and laminated them so that we can use them many times. 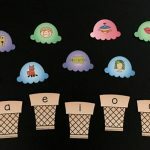 The puzzles are editable, which means you can work on any sight words you want – you could even turn it into an alphabet matching game, numbers- whatever you wish! The Dolch pre-primer list is pre-populated in there with common sight words, but they are easily changed out. 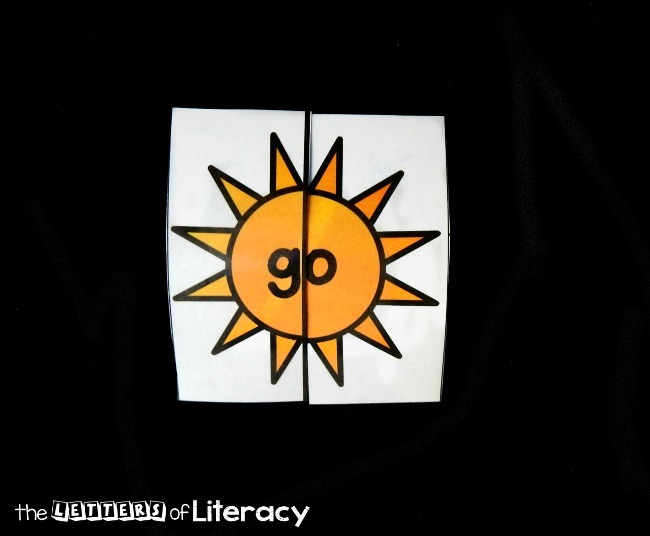 After laminating, I cut out the suns in their squares, and then cut on the solid black line to cut the words in half and create a two piece “puzzle” for each one. I didn’t put out too many words at a time, because that can get a bit overwhelming trying to find their matches. Instead, I picked 5-7 words we are working on and played the matching game in a small group. These puzzles gave us a good challenge! Sometimes the letters are even cut down the middle and we really had to think and look for parts that fit together evenly. 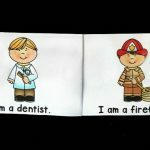 Once we found ones that fit, we tried to read the word. 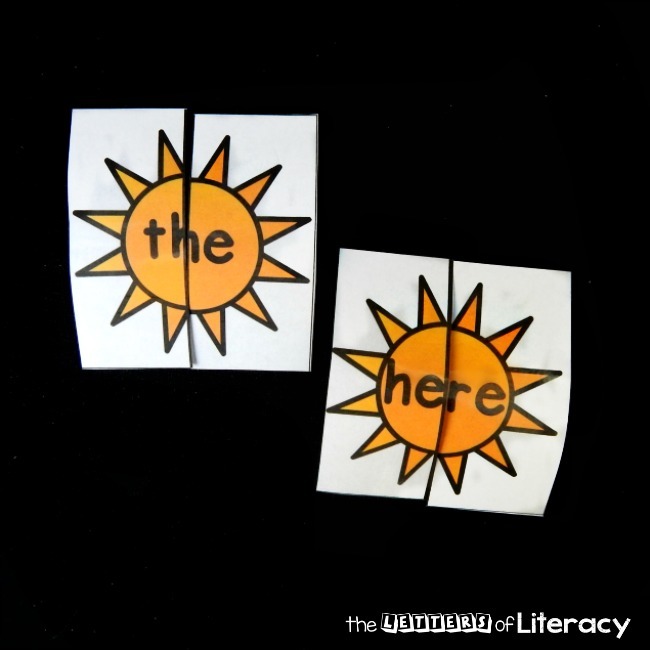 You could make this game self-checking by writing the sight word on both halves of the puzzle, that way kids can check independently to see if they matched them up correctly. Just be sure to print on card stock so that they aren’t see through! We matched them up and read them aloud together, and by the time we finished the initial few, my kids were ready for more! 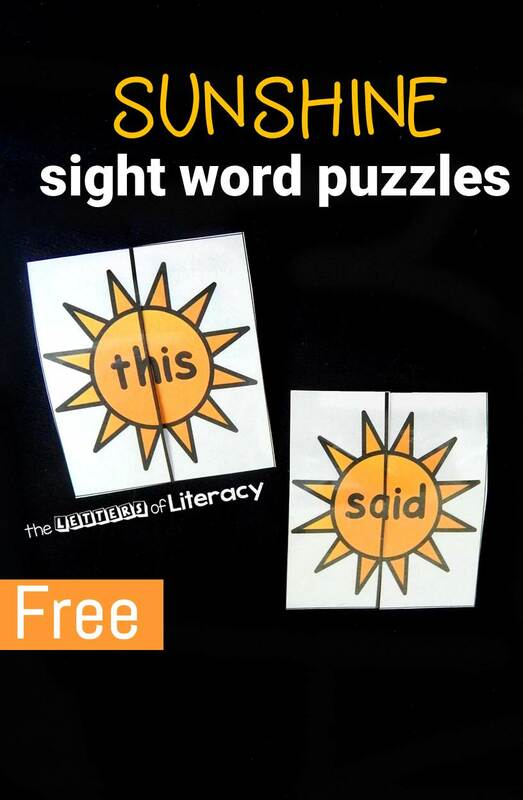 Ready to play with your own set of sunshine sight word puzzles? Grab your free copy of the editable version below! It downloads as a PowerPoint and will give you simple instructions for adding your own words. Happy Reading! 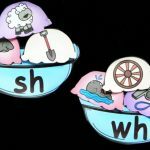 Looking for more ways to work on sight words with your kids? 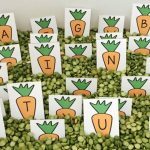 Hop over to our shop and grab sight word sentence sorters for the entire year – work on sight words and printing too!